Since moving out into my own place, I'm constantly obsessed with buying things to make it my own personal spaced and lately I've moved onto for DIY tricks and hints that I can make myself with things I already have! The perfect place to find these ideas are Pinterest. Now I'm sure everyone is already a big fan but I'm late to this bandwagon but I can honestly say, I'm now well and truly on it! Since there was so much that I liked, I thought I would do a small post on bits of DIY I liked and will hopefully try to do myself in the near future. I love these coasters! They're so simple yet pretty and are SO cheap to make! You can buy a pack of 4 cork coasters from Ikea for £1 and you can decorate them however you want! This is a great idea and I really can't wait to try this out for myself. I really love the idea of this pin love canvas! Since we moved in, we've had a really difficult time finding something to go on the walls. Everything from most home stores are either really girly or really weird and "out-there" (not fair on me!) so trying to find something we can agree on is hard! I did however really like this and it's somewhat in the middle so hopefully we'd both be able to enjoy this! 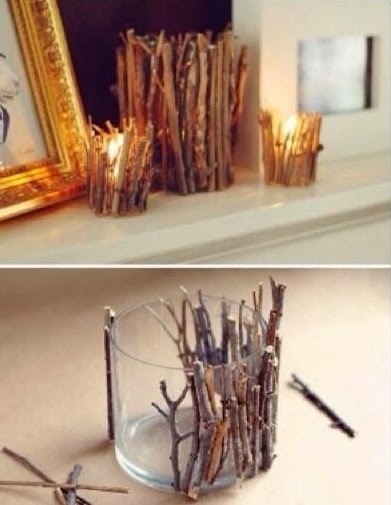 Once again another simple yet pretty idea and I think this would look great in the upcoming Autumn/Winter months! You can buy a small glass similar from anywhere and the sticks can be picked up from any park you visit! Simple and cheap! Lastly, is my favourite of them all. I know there are a few other "string art" pieces and I have to say I honestly love them all! It's just a great idea and you can do this with whatever word you want or symbol like a heart. I'm already thinking of several words I can do for around my apartment! You can check out my Pinterest site here and see what other things I've pinned! Those all look fantastic! 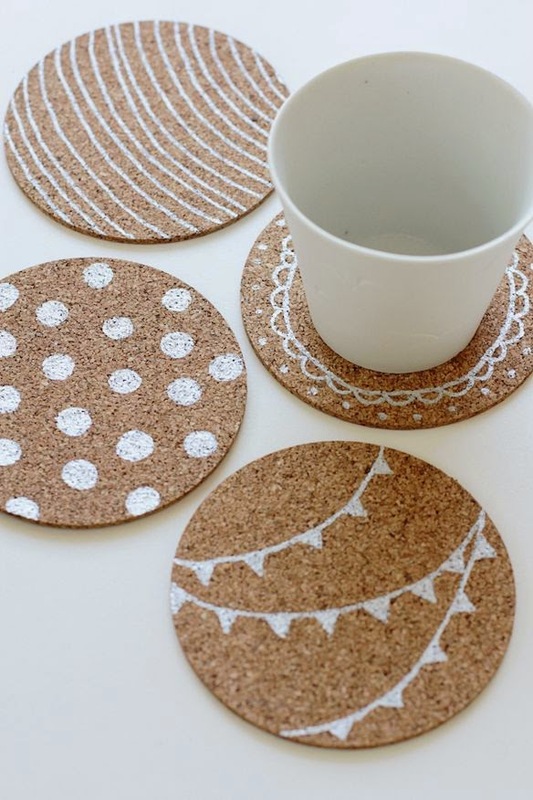 I love the coaster idea - they look so fab.